Cheesecake Recipes - Cakes, Bars, Smoothies, Dips & More! Cheesecakes are one of those desserts that are much easier to make than most people think. Often, they take one bite of these amazing sweet treats and just automatically assume that they would have to be difficult to make if they taste that good. That is really not the case though. I make cheesecake recipes all the time and have since I first started cooking. My first attempt at a cheesecake recipe was a boxed, no bake cheesecake. It wasn’t long before I started tinkering and adding some of my own ingredients and then, I started making them from scratch. Cheesecakes can be baked, and there are also many no bake versions. Cream cheese (the basis of most cheesecake recipes) is such a versatile ingredient that it also lends itself to all sorts of other desserts. Have you ever heard of cheesecake bars, or a cheese cake bundt cake (one of my most popular recipes)? There are dozens of ways to incorporate the idea of a cheesecake into your favorite dessert items. Cheesecakes are very popular, too. The Cheesecake Factory has made a whole business based on these amazing desserts. I’ve made dozens of different desserts featuring cheesecake here on Recipes Just 4U. One of these may be the perfect temptation for you, the next time that you decide to get adventurous in the kitchen. Join me for one of my Cheesecake Recipes. Standard cheesecakes are often made in a spring form pan, but you can also use pie plates, too. Cheesecake Recipe Roundup – 6 yummy cheesecakes in one place. Chocolate Raspberry Swirl Mini Cheesecakes – These are just the right size for portion control. Lightened up Chocolate Cherry Cheesecake – Are you counting calories? This one is for you! Pumpkin Swirl Mini Cheesecakes – These little individual sized cheesecakes are perfect for Halloween or Thanksgiving! 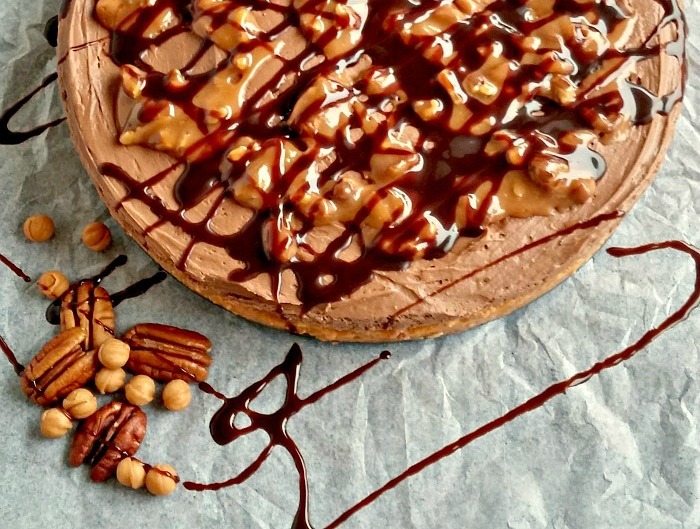 Turtle Chocolate Pumpkin Cheesecake – Turtle candies and pumpkin pie combined! I love using cream cheese in bar recipes. 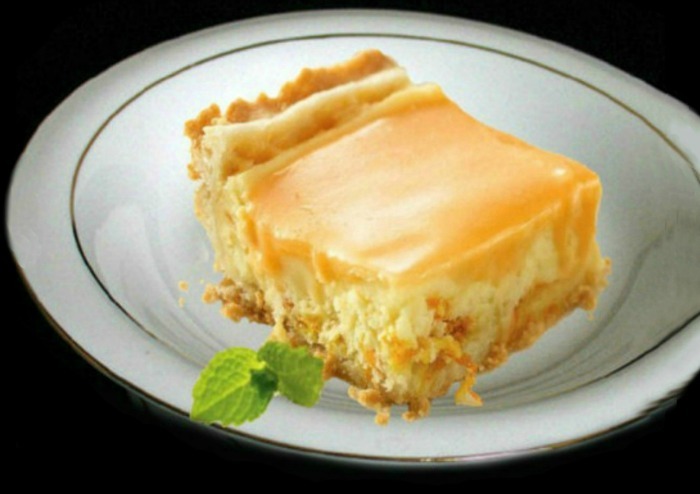 The cheesecake makes the bar more moist and adds a nice richness to it. Apple Cheesecake Bars – These yummy bars have a caramel topping. Brownie Cheesecake Bars – A brownie and a cheesecake combined. Chocolate Chip Cheesecake Bars – Chocolate chip cookies turn into cheesecake bars. Lemon Cheesecake Bars – These delicious bars have an animal cracker crust. Orange cheesecake Bars – These cheesecake bars are sort of like a creamsicle cheesecake. No Bake Oreo Mint Cheesecake Bars – creamy, minty chocolatey goodness! Brownies can be often be dry, but not so when you add cream cheese into the mix. It makes them moist and delicious! 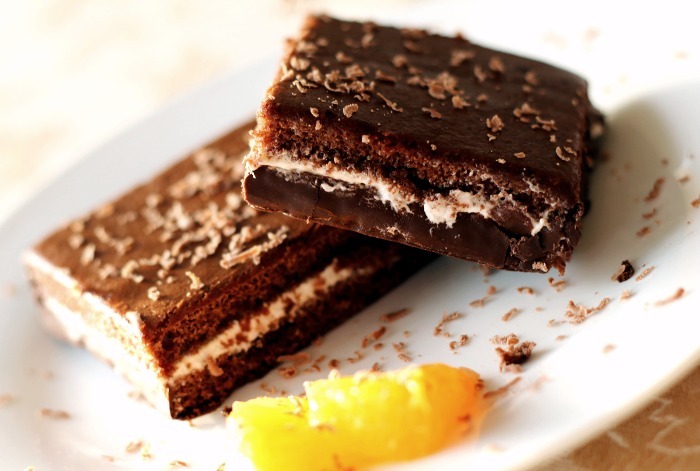 Brownie Cheesecake Bars – These decadent bars have a lovely brownie base. Strawberry Cheesecake Fudge Brownies – Is it a brownie, or is it a cheesecake? You decide. Many cakes call for the addition of cream cheese to them. Some blend it right into the batter and others have a separate layer for the cheesecake. 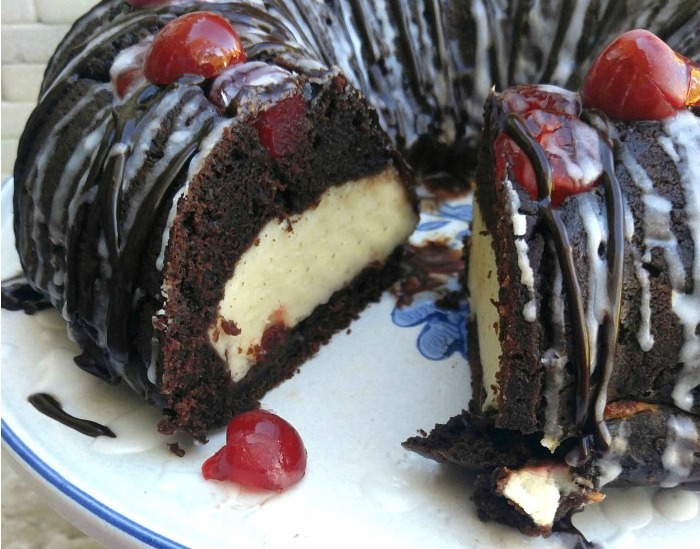 Chocolate Cherry Cheesecake Bundt Cake – My most popular cheesecake recipe! It went viral on Pinterest during the holidays. 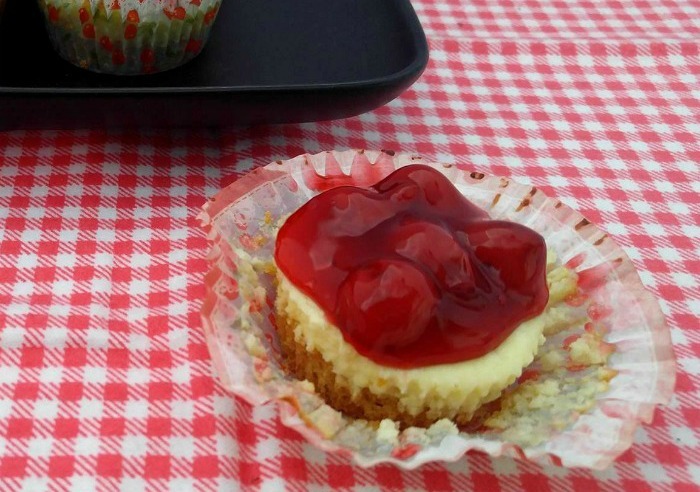 I love using cheesecake in both cupcakes and muffins. For a start, you get an individual portion controlled size. For the taste, you get the yummy richness of the cream cheese. Chocolate Peanut Butter Cheesecake Muffins – The most decadent muffin ever tastes out of this world! Chocolate Raspberry Mini Cheesecakes – The raspberry swirl makes these so pretty. Pumpkin Swirl Cheesecakes – Make these in cupcake liners for individual portions. These Pumpkin Cheesecake Muffins are perfect for Halloween or Thanksgiving. Making truffles is fun and easy to do. Many truffles use frosting or sweetened condensed milk. Try using cream cheese for a rich option. 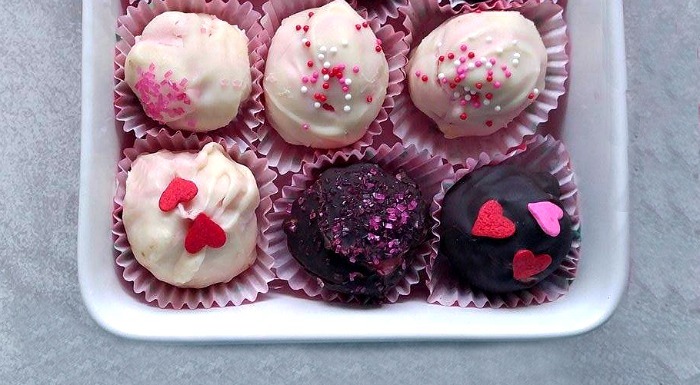 Red Velvet Cheesecake Truffles – These scrumptious two bite sweets are perfect for Valentine’s Day. Halloween pumpkin Spice mummy truffles – These adorable little bites are spooktacular! Most sweet dips use cream cheese as the base. While not strictly cheesecakes, these are still amazingly delicious ways to use the basic cheesecake ingredient. Creamy Pumpkin Dip – The perfect choice for both Halloween and Thanksgiving. Foot Ball Cheese Ball – Fun game party dip. Game Day Cheese Balls – One Sweet – One Sour – Both Delicious! 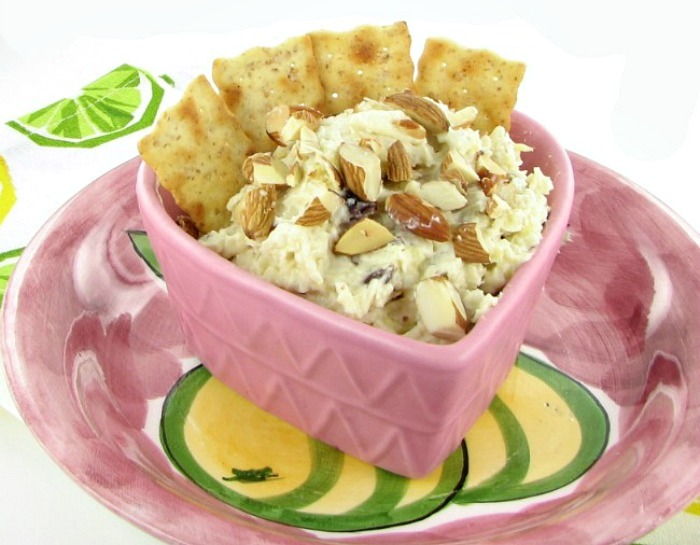 The Descendants Cheesecake Dip – This dip makes a wonderful sweet and fruity party appetizer. You can use any baking pans to make and serve cheesecakes, but using the correct tools will make the process much easier. Here is an assortment of Cheesecake making tools and gadgets from Amazon. I have even more delicious cheesecake recipes on my Pinterest Cheesecake Board.